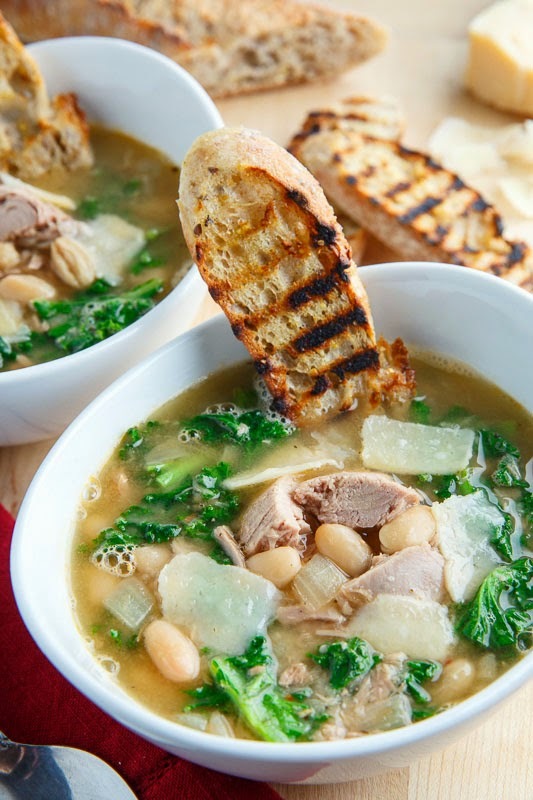 Clover Leaf tuna, white bean and kale soup that is ready in under 30 minutes! Tuna is a staple in my pantry, it’s always nice to have on hand and I always enjoy using it. The other day I was thinking that I had not tried using tuna in a soup and that it would go well in one. That immediately led to the idea of a light and healthy soup based loosely on a tuscan tuna salad. I started with some Clover Leaf solid white tuna to which I added white beans and italian seasonings along with fennel and a touch of paprika. I always like to have some green vegetables in my meals and kale fit the bill for this soup perfectly! I finished the soup off by melting a bit of parmesan into it which adds that: you just can’t quite place your finger on it, but makes the soup that much better, element. I have to say that tuna works well in soups and I will definitely be doing it again! 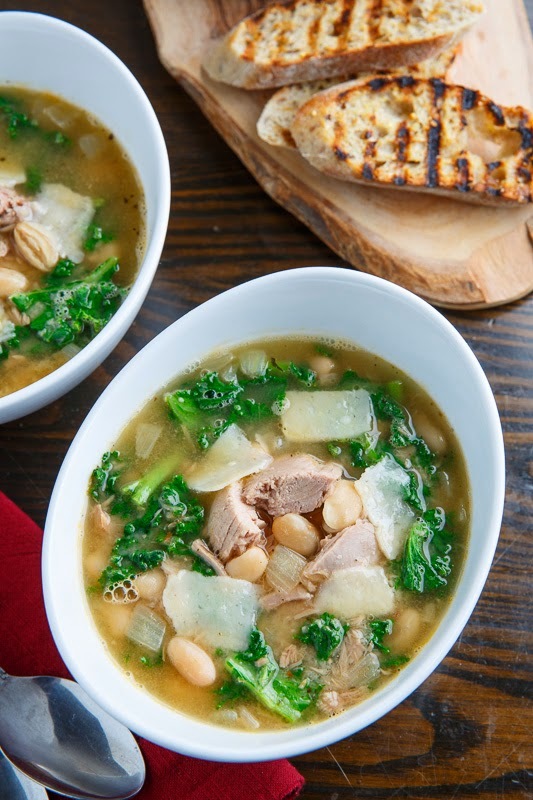 This tuna, white bean and kale soup is pure comfort food and yet it is also nice and light and healthy! Scroll down a bit for the chance to win a Clover Leaf tuna prize! Just look at those nice chunks of tuna! This soup goes great with some garlic rubbed crostini! 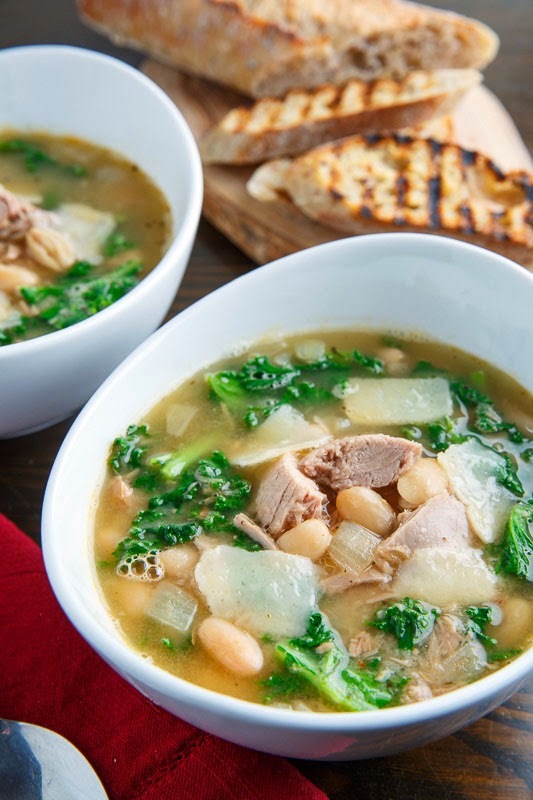 A light, healthy and tasty Clover Leaf tuna, white bean and kale soup that is ready in under 30 minutes! Heat the oil in a large sauce pan over medium heat, add the onion and cook until tender, about 5-7 minutes. Add the broth, beans, tuna, italian seasoning, fennel and paprika, bring to a boil, reduce the heat and simmer for 10 minutes. Add the kale and simmer until it wilts, about 2-3 minutes. Add the parmesan, let it melt and season with salt and pepper to taste before removing from heat. Option: Replace the kale with spinach, swiss chard, etc. Option: Add a dash or 2 of fish sauce! Note: You can replace the italian seasoning with 1/2 teaspoon dried basil, 1/4 teaspoon dried oregano and 1/4 teaspoon thyme. Tip: Try not to over-stir so that the tuna does not break apart and you still have nice large chunks. Disclaimer: This post was sponsored by Clover Leaf. All Opinions are my own. I love bean soups. The tuna and kale make it so much better! I was just drooling over at Table for Two's Kale soup, and am loving yours, too! Sounds delish! and this makes it so very healthy for you! I'm definitely trying this at home soon because I've given up meat (aside from fish) for Lent and tuna has been one of my staples! I love how it's a low calorie dish! Yum. I love the idea of tuna in your soup Kevin – so funny, but the only time I've used tuna in soup is in the Korean Kimchi Jigae. This soup sounds so good and healthy. Is Clover Leaf Tuna available in the US? Thanks for the recipe. Jeanette: I am so into Kimchi Jigae! Mimi G: Clover Leaf tuna is only available in Canada but any tuna will work! 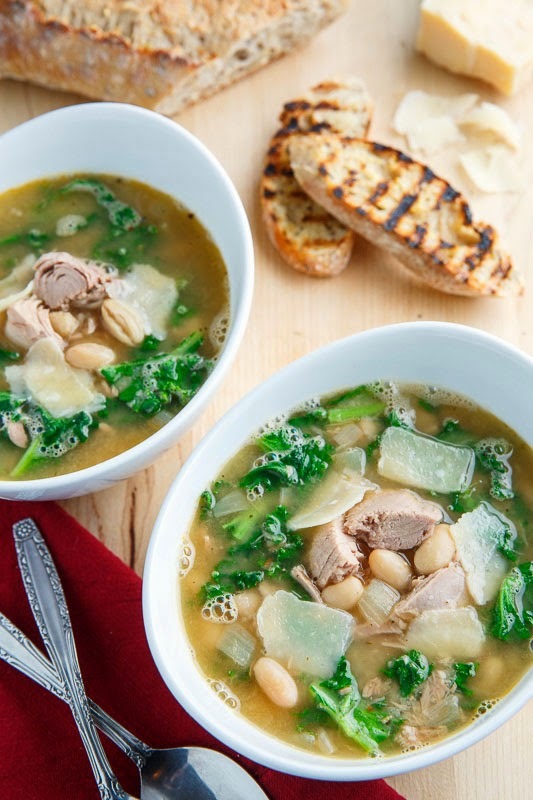 I love everything about this soup, Kevin…tuna, beans, kale & cheese…YUM! Thanks for posting it! I'll definitely be making it very soon. I'll try this soon! Looks wonderful, thanks for the recipe! Oh yeah babeee! This sounds RIGHT UP MY alley! Thanks, Kevin! I'd love to try this tuna. this recipe looks delicious!!!!!!!!! i`ll be making it soon! Sounds delish, can't wait to try this. I have made White Bean and Kale Soup before so now I have another way to make it adding the tuna!! this soup is unexpected (in a great way) and really lovely to look at! This is like my dream soup! Love it Kevin!! I could really use this after skiing today!! I'm a little bit addicted to kale in soup now…this looks fabulous! the tuna has me intrigued – gonna have to give this a go. I like the versatility I can see with this recipe so that you can get any flavor you care to with the basic ingredients. I'll be making this with spinach and basil and expect it will be as fabulous as all your recipes are. Thanks Kevin! Love how quick and simple this is! So delicious! This is my FAVORITE type of soup. Plus Italian sausage. The end. Looks so delicious. My girlfriends and I are always looking for new blogs. Your blog is wonderful. I'm a huge fan of "Cooking With Mr. C." and "Food 52". I will share your blog with my friends. We love to follow many blogs. Yup, it's still soup season!! This is a win! Hot dang! Just got an email saying I've been selected as the winner for the Clover Leaf giveaway – how cool is that? When it comes I will try this soup, and of course now I'll have to find a recipe for Kimchi Jigae, which is new to me… Thanks loads, Kevin! Nice chunks of tuna indeed! I love tuna so much. This looks good. This sounds so good and healthy. I love trying new ideas for seafood soups. Never thought of using tuna.